News | Page 2 of 7 | Hancock Survey Associates Inc.
Hancock Associates, a leading local provider of land surveying, civil engineering and wetland science services, is pleased to announce that Brian G. Geaudreau, a Project Manager and Associate at the firm, passed the professional engineering exam and is now a licensed Professional Engineer (PE) in Massachusetts. 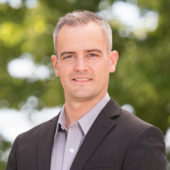 Brian has over eight years of experience at Hancock Associates and a proven track record in all aspects of land development from conceptual design to permitting, construction through as-built certification. His expertise ranges from single-family residential subdivisions to high-density mixed-use projects for both the public and private sector. This expertise includes design and compliance for various regulatory filings including MassDEP Stormwater Management, 310 CMR 15 Title 5, 310 CMR 10 Wetlands Protection Act, 521 CMR Architectural Access Board, 527 CMR Fire Prevention and MGL Ch. 41 Sec. 81K-81GG Subdivision Control. Brian is responsible for the day-to-day operations of the Chelmsford branch engineering staff. Brian received his Bachelor of Science in Civil Engineering Technology from the University of Massachusetts in Lowell. In addition to being a Professional Engineer, he is a certified Soil Evaluator and Certified Septic System Inspector (MA #13719). 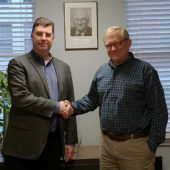 Hancock Associates’ announces that Pat Nielson has been promoted. Pat has been a valued member of the Hancock team for almost 20 years. She started as a receptionist in our Danvers office and through hard work and dedication, moved into the role of Office Coordinator and now is our new Assistant to the Administrative Manager. 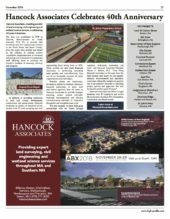 Hancock Associates is honored to have their 40th Anniversary celebrated in the November 2018 issue of High-Profile magazine. 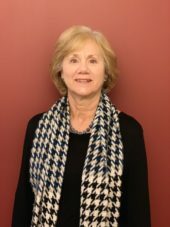 Hancock Associates, a leading local provider of land surveying, civil engineering and wetland science services, is proud to announce that Deborah L. Colbert, P.E., has joined the firm as Senior Project Manager. Deborah is a registered Professional Environmental Engineer in Massachusetts and holds a B.S. in Engineering from the University of Maine. Prior to joining Hancock Associates, she was an Environmental Sales Engineer and a Project Manager at several prominent Boston area engineering firms. 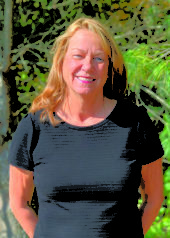 She also has several years of experience in construction dating back to her very early years as an Inspectional Services Project Engineer at Nut Island and Deer Island Wastewater Treatment Plants with the Metropolitan District Commission (MDC), currently named the Massachusetts Water Resource Authority. Deborah is based in the firm’s Danvers office.